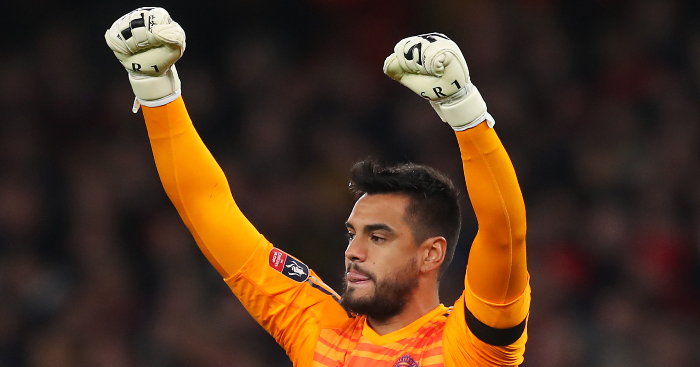 Manchester United‘s Sergio Romero can consider himself a vital part of their win at Emirates Stadium on Friday night. Knocking Arsenal out of the FA Cup with a 3-1 win and all three goals coming on the counter, it was reminiscent of last season’s win there in the league. There was one key difference, though. David de Gea made a record-equalling 14 saves on that occasion, and his stand-in was not nearly as busy this time. Arsenal dominated possession, often in the final third, but were unable to fashion the same amount of clear-cut chances. Nevertheless, when United’s second-choice goalkeeper was called into action he stepped up.